We are proud to be entrusted with some of the world's largest brands. We understand that one of the most important thing for our customers is protection of their brand. On this basis and in line with our transparent approach to compliance, we have always welcomed visits to our production facility in India, from our clients. Over the years, many of our clients have joined us at our factory and the team in India and have come away with full satisfaction that our bags are ethically produced to the highest standard. We operate on a fully transparent basis and offer willingness to disclose the ethical integrity of our bags. 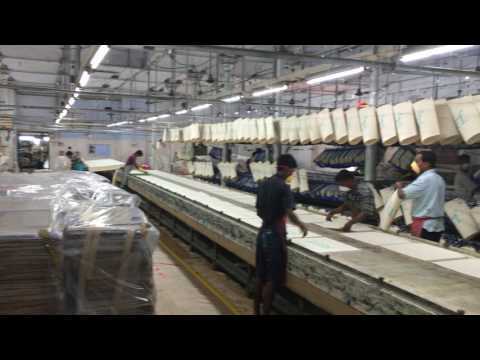 A view of our factory as Jute and Juco bags are being produced.